To be detected by the trigger, a physical object must have both a physical body (with the physical mask that matches the physical mask of the trigger) and a shape (with the collision mask that matches the collision mask of the trigger). It is also possible to specify the exclusion mask for the physical trigger that is used to prevent detecting collisions with shapes. This mask is independent of the collision mask. For a body with a shape, the exclusion mask can be set on the Physics tab of the Parameters panel. For the physical trigger, the mask can be set via C++, C# or UnigineScript API. 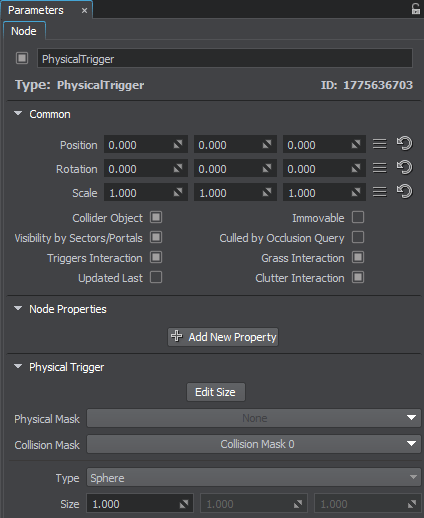 The collision mask set for the shape must match the collision mask of the physical trigger. The exclusion mask set for the shape must match the exclusion mask of the physical trigger. Physical objects participating in the contact with the physical trigger can be obtained via C++, C# or UnigineScript API. The shape of such object can also be obtained. Moreover, you can get the depth of the object penetration, coordinates of the contact point, and its normal. Run the project with UnigineEditor. 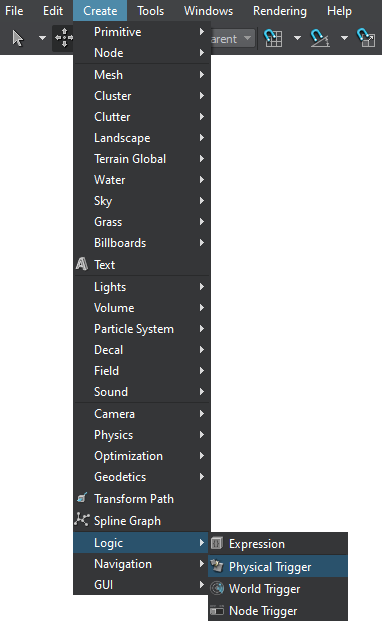 On the Menu bar, click Create -> Logic -> Physical Trigger. Click somewhere in the world to place the physical trigger. 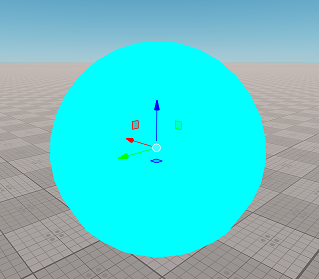 A new physical trigger node will be added to UnigineEditor and you will be able to edit it via the Parameters window. By default, the sphere trigger with 1-unit radius is created. Toggles the editing mode for the physical trigger node. 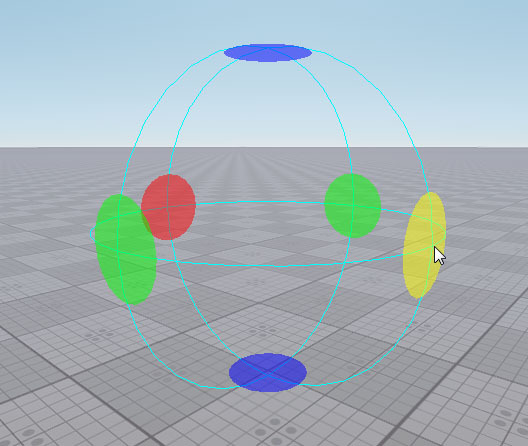 When enabled, the size or the radius of the node (depending on its type) can be changed: each side/axis is highlighted with the colored rectangle/circle. To change the size/radius, drag the corresponding rectangle/circle. The physical mask of the physical trigger must match the physical mask of the physical object. Otherwise, the physical trigger won't fire callbacks when the object enters or leaves it. In case of the physical object, the collision mask of the physical trigger must match the collision mask of the physical object's shape. In case of the non-physical collider object, the collision mask of the physical trigger must match the collision mask of the object's surface. Type of the physical trigger: sphere, capsule, cylinder, or box. Name of the world script callback function to be fired on entering the physical trigger. Name of the world script callback function to be fired on leaving the physical trigger.